This is free and fun puzzle for all aged groups. Solve puzzles by connecting the symbols with Tube in a single path. Playing this exciting puzzle is very simple- Connect links/path by drag and connect matching pairs of colored symbols without leaving any empty square on the board. Careful links will break when they cross each other ! This puzzle is solved when all symbols are connected,the whole board is filled. Team up with your phone artificial intelligence to score points by drawing auto links. Two symbols automatically connected when definite path between them exists. Sounds easy but it's really puzzling, so don't underestimate this brain teaser. 1. This is tube connect game. 2. All ages play this game. 3. Very simple cross each other tube. 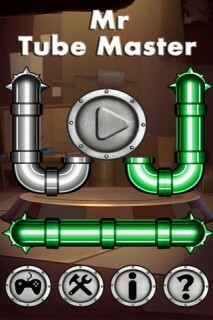 Download the Mr. Tube Master and find out why everybody loves and plays this fun and addictive puzzle game. Mr. Tube Master is a great game to help you sharpen logic and reasoning skills. Just pick some puzzles and let the time flow ! GTA Vice City For And..
New York Nights 2 - F..